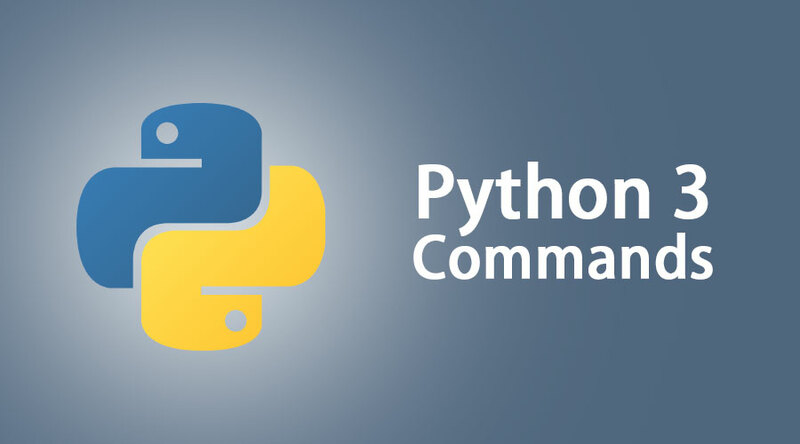 Python 3 commands have been introduced with Python 2 features and it is compatible with python 2 with help of using some inbuilt keyword to support the functionalities. Python 3 command was released in the year 2008. Python 3 is more intuitive to programmers and more precise while providing the result. Syntax has been changed for python 3 to get more clarity on what is written and what should be the output. In Python 3, the print function is used with parenthesis to show the output which is not available in python 2. In this python 3 commands, the entered data is always treated as string even if the data is inserted without ‘ ‘. In Python 3, the division is more precise than python 2 and gives a better result. In Python 3, an exception argument has to be put in parenthesis. In python 3, next function is being used and .net function cannot be used as it throws an error named as attribute error. In python 3, strings are mainly stored as Unicode that is utf-8 strings and having byte classes as bytes and byte array. If else statement is being used for decision making in python 3. In python 3, square brackets along with index is using to get the substring. In Python 3, for loop is being used to execute the statement multiple times. it will repeat the statement while the condition is true. There are many math functions that can be used in Python 3 to get the values or result. In Python 3, the values can be listed in list form and access the result. In Python 3, it is used to assign the value and update the value as well. Dict[‘salary’] = 8500 #updating the existing value. In python 3, smtp library object is being used for sending an email. In python 3, threading is used for various reasons and different threading method has been used like threading.activecount(), threading.currentthread(), threading.enumerate(). In python 3, MySql is mainly used as a database and PyMySQL is an interface connecting to the MySQL database. Debug the scripts to check where is error or issue. Python 3 makes the life comfortable for the programmers with introducing new features and compatibility to older versions as well. With the help of compatibility, the old applications can be easily moved in python 3 environment and make it up and running. Python 3 functions and its dynamic typing is really useful for the programming and make the performance better of the application.